Today Manchester positively glows with civic pride. The city was synonymous with the final death throes of industrial decline, but was reborn in the aftermath of the 1996 IRA bomb. 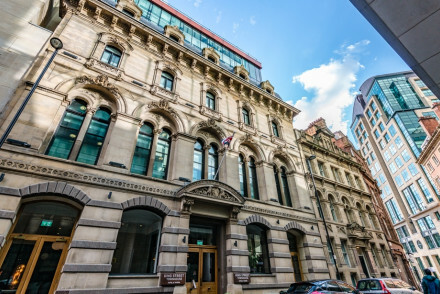 The Hotel Guru's pick of the best places to stay in Manchester are ideally placed to make the most of this vibrant city - ranging from budget boutique to top-notch luxury. Urban regeneration became the byword of late Nineties Manchester, and the success of the Commonwealth Games in 2002 sealed its renaissance as a modern industrial city. The city that gave us the world's first professional football league, the first commercial computer and the first ever Marks and Spencer store is now all boutique hotels and stylish restaurants with the glass shard-design. Beetham (now Hilton) Tower is a symbol of the new, stylish face of Manchester. 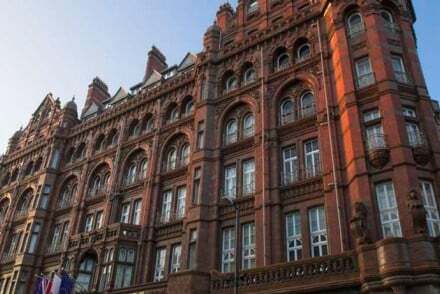 This rebirth has been accompanied by a slew of smart new hotel openings that cater for all budgets and feature amongst our selection of the best places to stay in Manchester. They make for superb urban-escape weekends and showcase the city's new status as the style capital of the North. The whole family will enjoy a day out to the Museum of Science and Industry - filled with fascinating exhibitions and set in an historic train station. If you're into your football then you've come to the right place! Head off on stadium tours of Old Trafford and The Etihad, before topping it all off with a visit to the National Football Museum. If you’re here to enjoy the nightlife then Chinatown is a good place to start before you move on to The Village, around Canal Street, which has all the best clubs and bars, and one of Europe’s oldest LGBT communities. Velvet, one of our Guru’s recommendations for the best places to stay in Manchester, is right in the heart of the action here. You’ll find Manchester Cathedral in the Millennium Quarter, along with the Manchester Museum. The wonderful, neo-Gothic Manchester Town Hall is on Albert Square. The Piccadilly district is the main base for shoppers and diners, the funky Northern Quarter is growing as a centre for galleries and cafes, while Salford is developing fast as Manchester's, ahem, Left Bank. Chinatown, which is centred around George Street has been a feature of the city since the 70s and is packed with restaurants, shops and karaoke bars. The Millennium Quarter is where it's all happening - with high-end shops, shows at the Manchester Arena, Manchester Cathedral and a number of top nightlife spots. Avid sightseers should definitely also consider the The Quays, where you'll find the Imperial War Museum North and The Lowry - home to the city of Salford’s collection of paintings by L.S. Lowry. How best to describe the Northern Quarter? Well, according to some it's a mix of Soho and Camden, with a healthy dose of Northern spirit on top. Brimming with character, it's home to Manchester's creative types. At the other end of the scale, if you’re here to see historic Manchester then opt for Castlefield - where you’ll see the remains of the original Roman settlement. The stereotypical images of those Coronation Street-style terraces are but a distant memory... As with many busy cities, the best places to stay in Manchester can be tricky to book last minute. So if you want one of the best beds in town, be organised and book early! ABode Manchester offers stylish & chic city-centre accommodation that won't break the bank. Doubles start from as little as £79 per night room only. 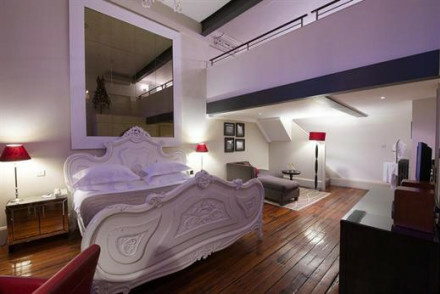 Malmaison is a contemporary warehouse conversion. Rooms offer the usual Malmaison standards: comfy beds, power showers, etc., and all at a very affordable price. 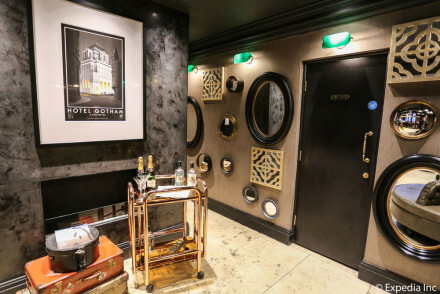 The Hotel Gotham is an excellent five-star hotel in the centre of town with 60 luxurious rooms decorated with Art Deco flair. There’s also a trendy, modern restaurant and a lively vibe. The King Street Townhouse is a magnificent city break: it's in a great location, with smart rooms and a spa to come back to after a day out sightseeing. 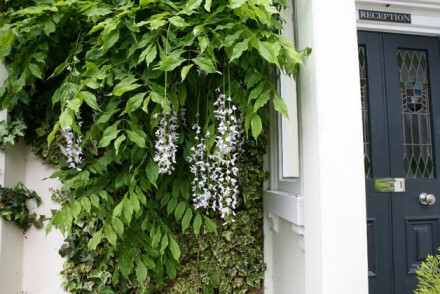 Velvet is a grown up, romantic boutique hotel in Canal Street. Described as "boho chic meets glitzy cosmopolitan", it's a hip destination in this lively city. 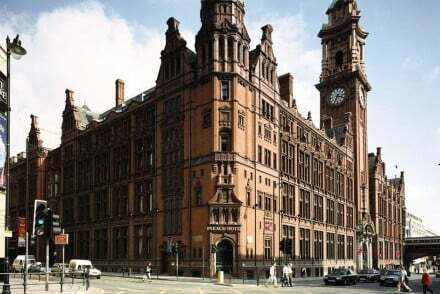 The Midland Hotel is Manchester's "grand dame". Though recently refurbished, it retains a very traditional feel; tortoise shell vanity units feature in the bedrooms and afternoon tea is a must in the Octagon Bar. 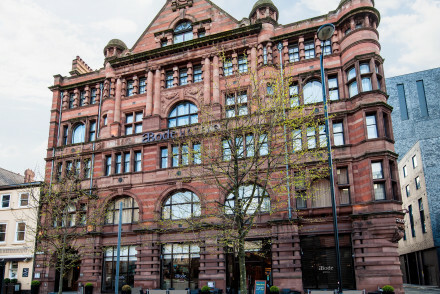 The Principal Manchester, set in an iconic Victorian building, is a smart city-break choice. The individually decorated rooms are sure to please, as will the close proximity to the city's top sights. Great John Street is a chic schoolhouse conversion in the centre of town, where the decor is truly original. A rooftop playground offers terrace, hot tub, glass veranda and sun loungers. The Oyster Bar is ever popular with locals and residents alike. 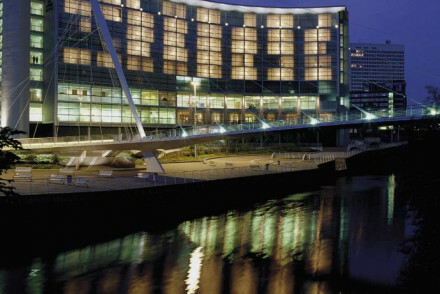 The Lowry - Manchester's premier hotel where bold contemporary architecture is complemented by equally stylish interiors, filled with artworks including some sketches by Lowry himself. 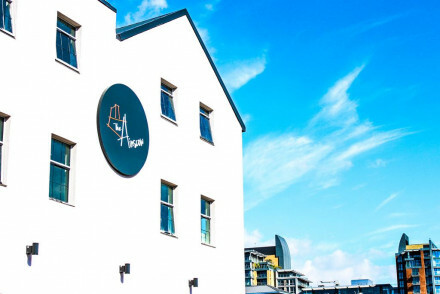 The Ainscow Hotel is a great value, stylish option with easy access to the centre of town. Interiors feel industrial with exposed brickwork and grey tones. Plus there's a lively roof top bar and excellent restaurant. Doubles from just over £70 per night. Didsbury House and Eleven Didsbury Park are located in a quiet suburb, yet only a fifteen-minute drive from the action. In both properties you'll find the same stylish interiors as you'd expect from an outfit which also owns Great John Street, but a quieter vibe. 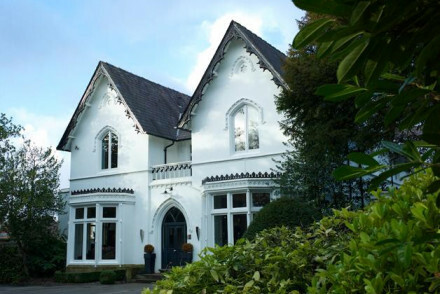 Oddfellows on the Park is a converted Victorian mansion in Cheadle, just a short distance from Manchester. Here you’ll find 22 individually, and quirkily, designed rooms and a superb restaurant. Outside of London, Manchester Airport is the UK’s largest with connections to hundreds of locations worldwide. Or you can travel by train - arrive at either Victoria Station in the north or Piccadilly in the south. Piccadilly is the main intercity station. If you want to hire a car - which we advise if you’re staying in Manchester but want to travel further afield - we recommend you visit our online partner, Rentalcars. Manchester’s weather is probably not going to draw you in to the city, but the warmest months are also when this town has the most on - between June and August there are a lot of festivals. The next best option is probably coming in spring, between March and May. However Manchester is a very popular destination year round. Extend your search to include the best places to stay in Leeds. How about the best places to stay in Liverpool? A stylish hotel with easy access to Manchester's centre. Industrial style rooms feature exposed brick, grey tones, crisp white linen and pops of orange from the soft furnishings. The roof terrace bar and excellent restaurant are enticing spots to return to after a day spent exploring the city. Value chic - A stylish hotel offered at a very reasonable rate. Victorian warehouse building turned trendy boutique hotel. Contemporary rooms feature chic design with subtle nods to their past in parquet flooring and ironwork columns, not to mention super comfy beds. Buzzy Brasserie Abode offers great food and resident DJs for those who want to stay in! City Style - Victorian warehouse conversion turned trendy boutique hotel with parquet floors, high ceilings and fun young crowd. A historic textile warehouse-turned city boutique hotel; Victorian antiques are stylishly juxtaposed with modern decor. 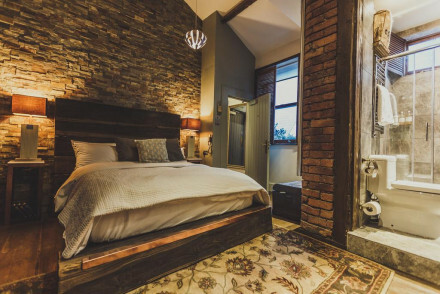 Rooms are chic and comfortable complete with marble bathrooms and exposed brick walls. Located in Manchester's trendy Northern Quarter, a vibrant urban atmosphere surrounds. 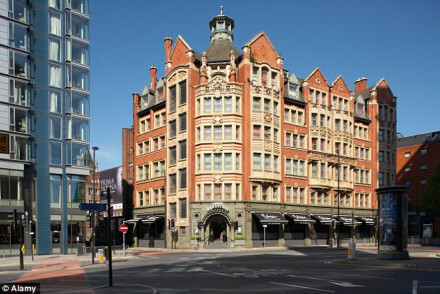 The Principal Manchester is located in an iconic Victorian building in the centre of town. 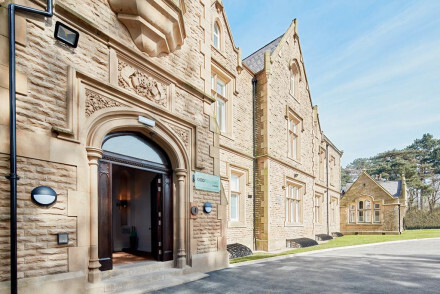 It offers elegantly appointed accommodation (no two rooms are the same) with modern furnishings echoing a classical style and original features including huge windows and wood panelling. A smart city stay. Boho chic meets glitzy cosmopolitan in this downtown boutique, a 'decadently camp' conversion in an old textile mill. Lively and romantic. A chic warehouse conversion, in central Manchester. Contemporary rooms offer comfort, style and unique charm, as well as all the needed mod-cons. Enjoy the French and British dishes at the restaurant and phenomenal cocktails at the lively bar. On site spa, gym and sauna- utterly spoiling! City Style - Centrally located Victorian Warehouse turned stylish boutique hotel, complete with spoiling spa and trendy bar. Great walks - Just five minutes down the road is the scenic oasis of Piccadilly Gardens, perfect for an afternoons stroll. Oddfellows On The Park is a Victorian mansion located in Cheadle, a short distance from Manchester. Luxurious individual rooms furnished in a quirky and designer manner. Enjoy a refreshing cocktail from the Stud Room Bar and superb meals at the Galloping Major restaurant. A first-rate stay! Foodies - Oddfellows On The Park serves up delicious gourmet cuisine! Quietish out of town Victorian villa hotel near the airport, with a charming walled garden, gym but no restaurant. Good for business stopovers. Manchester's recently refurbished grand old dame retains its traditional feel while providing top notch contemporary service. The sumptuous rooms boast fine antiques, plush linens and luxurious feel. A gourmet experience from afternoon tea to the city's premier fine dining restaurant. Total relaxation - Plush suites, luxury spa, pampering aromatherapy rooms and award winning food are a combination guranteed to end in relaxation. Sights nearby - Perfetly located for catching a show at the Palace Theatre, the Library Theatre or the Opera. 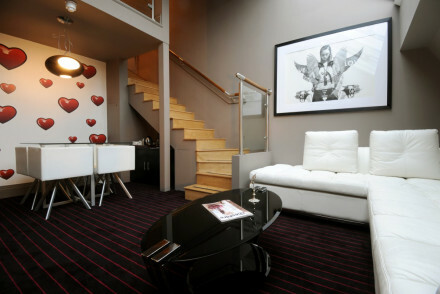 King Street Townhouse enjoys a fabulous location in the centre of Manchester. The rooms are classical in style, featuring plenty of muted tones and upmarket furnishings. All the mod cons you'd expect from a self-acclaimed "baby grand hotel". The ideal smart city stay! Chic styling and tasteful artworks throughout make this hotel Manchester's premier one. Enjoy the plush contemporary rooms spectacular views and all the mod-cons. River Bar & Grill is on the buzzy 'Left Bank' of the River Irwell, offering great British-style cuisine. City Style - Magnificant glass fronted building wonderfully located, overlooking the River Irwell, sleek interiors and effortless style. Sights nearby - Manchester Cathedral and The People’s History Museum are both walking distance and well worth checking out. Views - Of the River Irwell. Chic school house conversion in the centre of town, no restaurant but funky bar and rooftop lounge. Popular with business visitors. Victorian villa meets contemporary interiors in tranquil suburb of Didsbury. Relaxing spa treatments, garden terrace, lounge. Breakfast included. An excellent five-star hotel in central Manchester, with a taste for the decadent. The luxurious rooms are decorated in a definitively art-deco style, a theme that is replicated in the hotel's trendy, modern restaurant. Perfect for a vibrant visit to the UK's party city. City Style - A theatrical and decadent masterpiece in the heart of Manchester, perfect for an indulgent weekend away. Writing a novel - The weird and wonderful 1920's vibes will be sure to inspire you to put pen to paper. Great walks - Head out for a breath of fresh air in the nearby Piccadilly Gardens. Local markets - Don't miss out the Manchester Christmas Market in December.